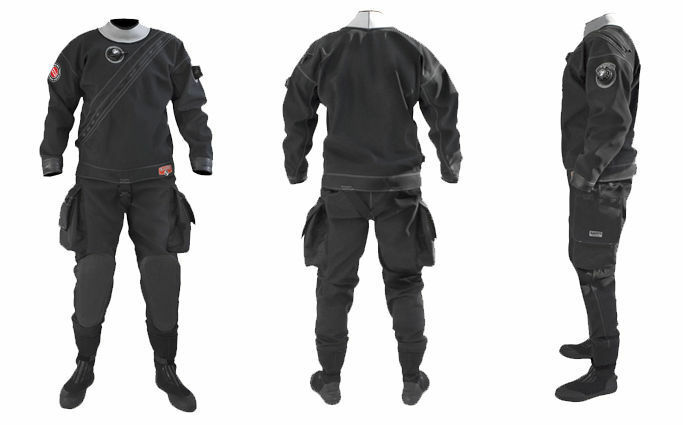 E.Lite drysuit is recommended for all kinds of diving, especially technical, cave and wreck due to its fabric exceptional durability and protection of the most sensitive areas exposed to damage. Unique quality of this model is provided by exclusive to Santi Ripstop Nylon, followed by ergonomic Y-cut shape and the highest attention to production details. 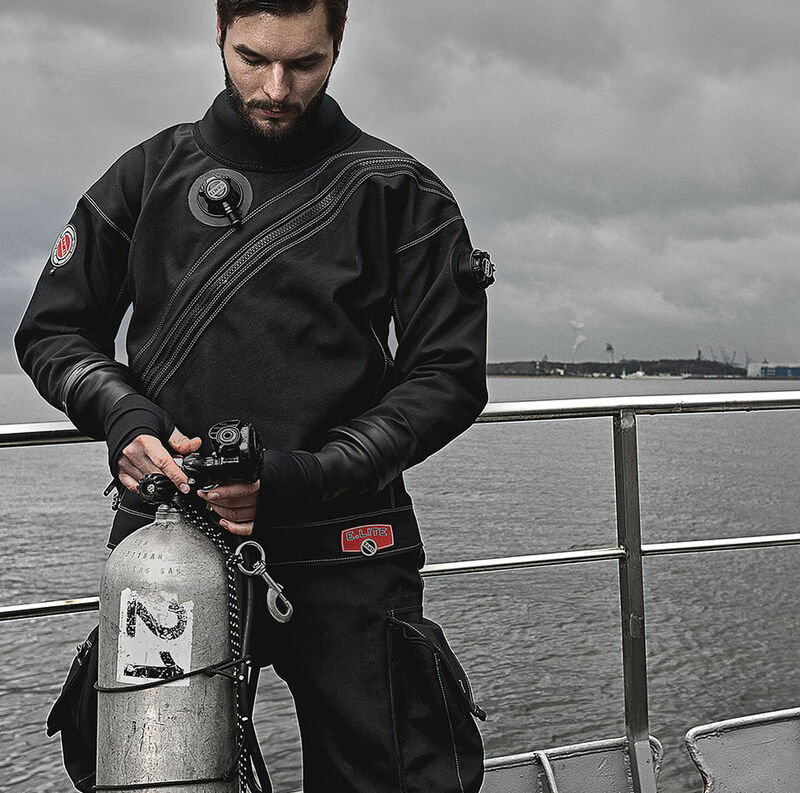 In standard option it comes with all necessary accessories to facilitate professional diving. Additional options are also available. 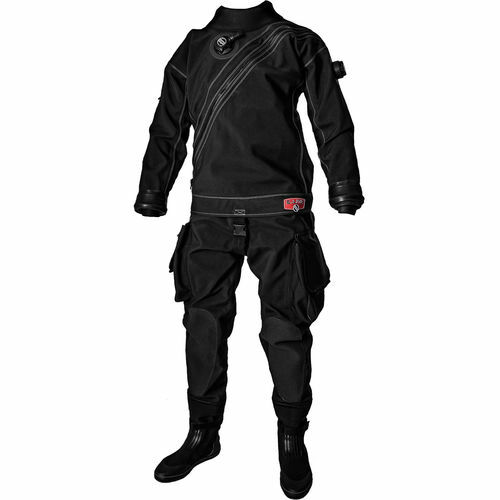 fabric: Ripstop Nylon/Butylene/Polyester 535 g/m2.